I was a big fan of Dark Angel when it first premiered all the way back in 2000. The show was from James Cameron, it was science fiction, it starred Jessica Alba, and it featured bike messengers in the future. What was not to like? With a very solid first season, Dark Angel was one of the better new shows on television at the time. Jessica Alba played Max Guevara, also known as X5-452, a runaway genetically enhanced super-soldier who spent her adolescence trying to escape from a government organization that was creating these child-soldiers in secrecy. Max was a tough bike messenger by day, trying her best to live a normal life in a post-apocalyptic world. When the government agency known as Manticore tracked her down, her training kicked in, and she had to fight to keep her friends safe from the truth about her past life. There has to be something said for wanting to keep your history out of the spotlight. It’s a quiet and reserved quality, but that’s what made Dark Angel interesting to me. It was a show about a woman fighting to be normal. There were many other people just like Max, who made every episode worth watching, as she tried to find each and every one of them. Ivanova was well known for her bleak Russian cynicism, but that cynicism was well earned. She lost her telepath mother early on after the suppressive drugs mandated by Psi-Corps drove her to suicide. She lost her brother during the Earth-Minbari War, a tragedy that spurred her to join Earthforce in his honor. 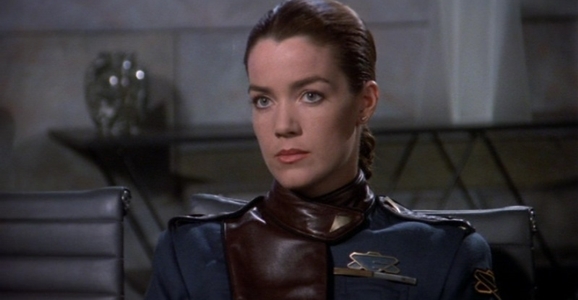 As second in command of Babylon 5, she was forced to face off against her own people in a bloody civil war, one that came right after an even bloodier interstellar war between two ancient forces who primarily viewed humanity and the younger races as pawns in a millennia-old game of “Nuh uh!” And let’s not even venture near the subject of her love life, because oy. Nevertheless, Ivanova soldiered through it all, growing from a dedicated but cold young officer into a seasoned badass capable not only of delivering the line “I am death incarnate…God sent me” without a hint of irony, but of backing it up with ruthless, decisive action. In a show that included many fascinating, dynamic female characters — Delenn and Lyta spring to mind — Ivanova has always been my favorite simply because she was so relatable. Thrown again and again into events of calamitous import, with the literal fate of the galaxy at stake, she is forever bemoaning her impending doom…but that never stops her from doing what needs to be done. For all that wry Russian wit, she never gives up, and she never gives in. Babylon 5 was the last of the Babylon stations. There would never be another. It changed the future, and it changed us. It taught us that we have to create the future, or others will do it for us. It showed us that we have to care for one another, because if we don’t, who will? And that true strength sometimes comes from the most unlikely places. Mostly though, I think it gave us hope. That there could always be new beginnings…even for people like us. characters on the animated series, but she’s never afraid to fight. Actually, she’s usually the first to throw a punch or a dropkick before anyone else begins to act. 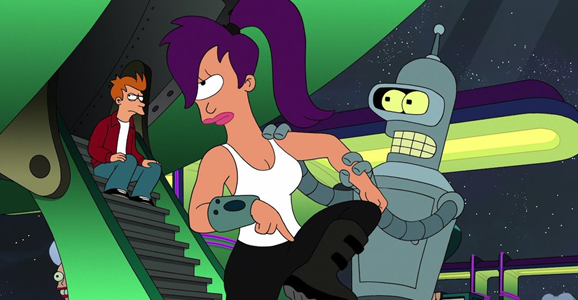 Leela is the apex of badass on Futurama, and no one else is her physical equal. Throughout Futurama’s series run, we got to see Leela develop from a know-it-all and protective pilot to a true leader of the entire Planet Express Company.